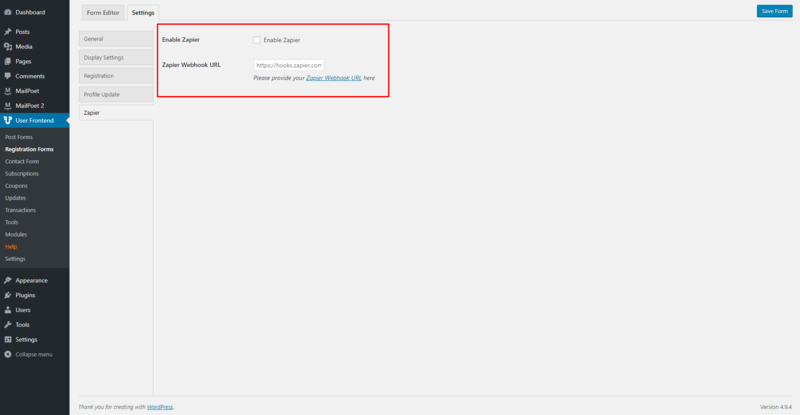 WPUF-Zapier premium module makes it easy for you to bring your User Frontend form entries to Zapier lists. 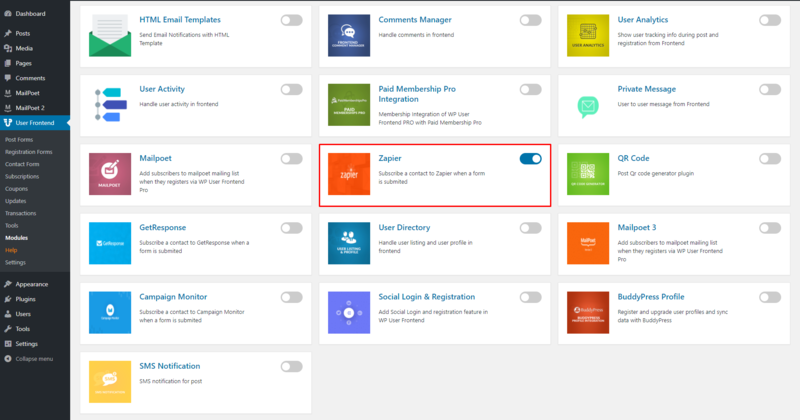 Integrate your Zapier account with WPUF with a one-time connect. Choose the Zapier app you want to connect. Connect your selected Zapier list with WPUF. Pass form entries seamlessly to Zapier apps. Increase your contacts, leads, and clients easily.